U.S. usage of the black stuff will hit a 39-year low and plant closings double in 2018 despite the president’s support. Cheaper natural gas and renewables are driving the trend, and will encourage other countries to follow. Miners will suffer but the world will breathe easier. 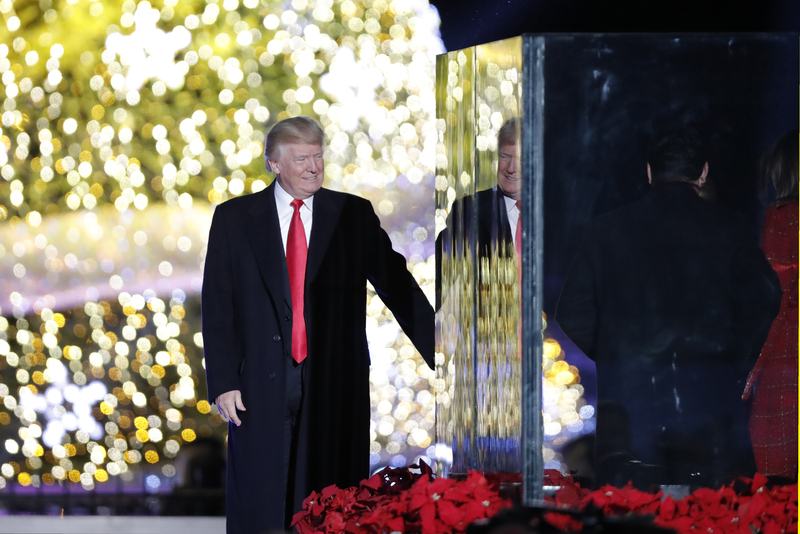 U.S. President Donald Trump participates in National Christmas Tree Lighting and Pageant of Peace ceremony on the Ellipse near the White House in Washington, U.S., November 30, 2017. U.S. coal consumption should to fall to 691 million short tons in 2018, a 4 percent decline from a year earlier and the lowest level since 1979, the U.S. Energy Information Administration said on Dec. 4.